Connecticut is a difficult state in which to wage war against negligent hospitals and doctors. Just ask Patricia Votre, whose son, Miles, nearly died at birth from an E. coli infection. The infant eventually succumbed to his injuries 51 days later. Under normal circumstances, she should have been able to sue the doctors who ignored the symptoms of infection and failed to monitor the situation carefully. However, Connecticut law is currently such that testimony from medical experts must be used in all CT birth injury lawsuits. As a result, state malpractice filings have gone down 20 percent to an average of 292 per year. Similar laws have been deemed unconstitutional in Washington, Arkansas, Oklahoma and Ohio because opinion letters from medical experts can cost thousands of dollars. If you work with a Connecticut birth injury lawyer at Eisbrouch Marsh, testimony from credible medical experts is included as part of our services, and you only pay us a fee if you receive a settlement or jury award. Clearly, choosing the right birth injury attorney is crucial to winning your case. You need medical malpractice lawyers that have access to an enormous pool of resources. Eisbrouch Marsh represents birth injury plaintiffs in all 50 U.S. states and bring more than 50 years of trial litigation and settlement agreement experience to the table. The statute of limitations law was designed to protect defendants from frivolous lawsuits and injustice. The idea is that, after a long period of time, memories fade, evidence becomes harder to obtain, and witnesses become less credible. In the State of Connecticut, you have up to two years to file a personal injury, wrongful death, or birth injury lawsuit. There are, however, a few exceptions to the general rule. For instance, in cerebral palsy or brain damage cases, it could take several years before a disability becomes apparent. It may, then, be possible to file within two years of the discovery that a birth injury had occurred. 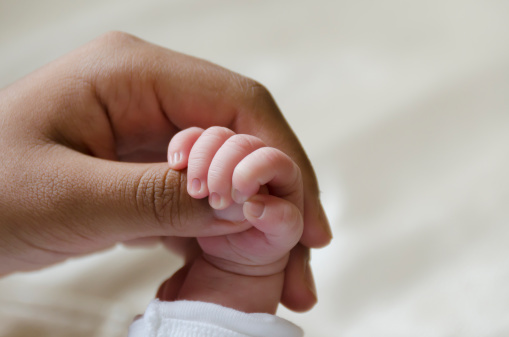 A Connecticut birth injury lawyer with our firm can help you determine if your case meets the minimum requirements to proceed in court. Forty-three states, including Connecticut, allow plaintiffs to include punitive damages in medical malpractice actions. Punitive damages are designed to place additional sanctions on negligent medical practitioners in the hopes that they will be deterred from committing similar infractions in the future. The purpose of punitive damages is not to compensate the plaintiff, but the plaintiff often receives a portion of the award – usually to cover legal costs. In Connecticut, punitive damages are limited to the actual cost of litigation, including all “reasonable” attorney fees. We’ll line up medical experts to help prove that the doctors, nurses, and/or hospital staff acted unreasonably. Our professional witnesses will also seek to prove that the negligent actions of the attending medical staff directly caused the birth injury suffered by your infant. Birth injuries run the gamut from bruises and broken bones to life-long disabilities and brain damage. Depending on the severity of your case, you may be entitled to compensation for medical expenses, loss of income, emotional trauma, and wrongful death. A case filed in 2005 by Cathy and Dominic D’Attilo told the heartbreaking story of a “rough, rough road” experienced by Daniel Jacob D’Attilo who was born with severe injuries related to cerebral palsy. The doctor paid out $58 million in this whopping settlement. Daniel’s parents say they’ll use the money to cover over $500,000 in medical expenses, a wheelchair, and communications therapy. In 2005, Hartford Hospital was ordered to pay out $36.5 million to a family whose baby suffered from severe brain damage. The birth injury attorneys of Eisbrouch Marsh will approach your case with care and concern. We understand that nothing will undo the damage that has been done, but you have the legal right to sue if you have been wronged by the negligent actions of others. We have a winning track record of pursuing birth injury cases across the country. In 2001, without ever going to trial, we obtained a settlement of $5.5 million for a mother whose child was born with permanent brain damage. Please call us at 1-800-737-8587 for a free and confidential consultation.